Apparently this campground is PARTICULARLY hard to get into, so it would seem I was in the “right place at the right time” when I secured a booking for Isabelle and I the first weekend the campground was open for the 2017/2018 summer season. In saying that I’m not sure why it’s so popular .. Without a doubt the best thing about this campground is the view, the ocean is directly in front of you! Another thing I loved about Sullivan’s is it’s size. Only 30 people can stay each night so it’s much quieter than being in campground with hundreds of other people. Isabelle would say it’s the toilets (long drop) but I thought they were very nice (as long drops go) – I’ve used a lot of long drop toilets and these are no where near the worst I’ve come across and for those of you (who like Isabelle) dislike long drop toilets, there are really nice facilities near the public car park which are close enough to walk too. 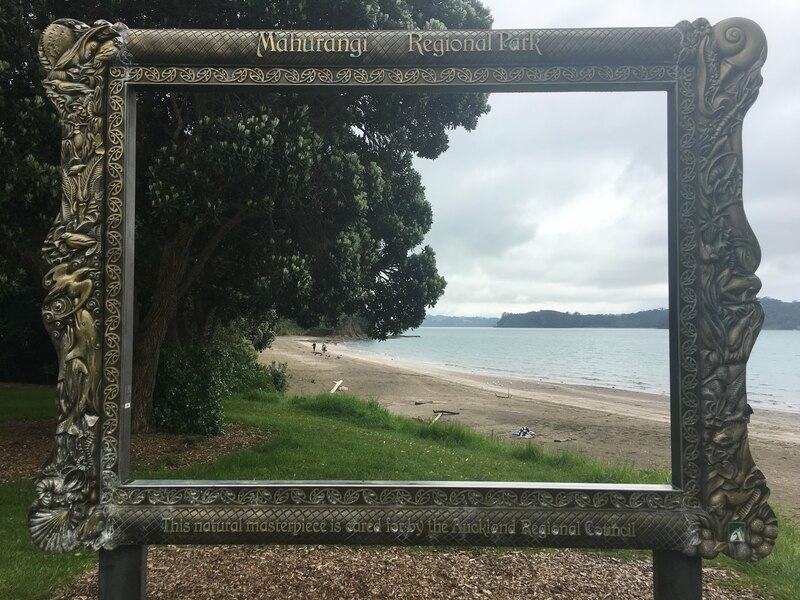 I’d probably say the size of the Mahurangi Regional Park in it’s self is a negative factor. 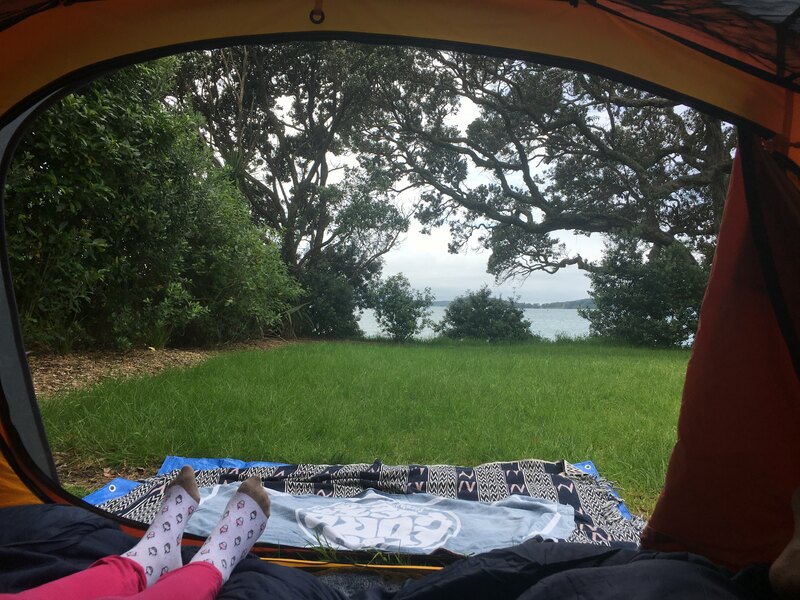 Unlike other Regional Park campgrounds where “your” section of beach is much quieter than the area the general public uses Mahurangi doesn’t have that separation due to it’s small size. That being said, Sullivan’s is a nice, clean campground with decent facilities if you are happy to walk to the carpark and if kayaking is your thing then apparently this is THE place to be. I lost count of the number of kayaks I saw being launched from the beach and most of our camping neighbors had kayaks parked outside their tents. Well, if I was unable to get a booking at Schiska or Te Haruhi Bay Campground and there was an opening at Sullivan’s I’d definitely go back (although looking at the booking calendar I can’t see that happening, Sullivan’s is booked out every weekend for the next 10 weeks)! For further information or to make a booking visit the Auckland Regional Council website.